Bones and flesh sat on every tabletop. The well-ventilated lab attempted to remove the odor of human decay. All the students wore protective gloves, feeling the internal organs that had been taken out of the body and put into plastic bags and buckets. For many prospective medical students, the cadaver lab introduces doubt and anxiety, but the Blair students felt none. Excitement sparkled in their eyes and the thought of possibilities filled their minds. Last year, the Biology Team took a trip to the Howard University Medical School Cadaver Lab. There, current medical students learn about the human anatomy by making careful cuts on the delicately-preserved bodies of deceased donors. Earlier this year, the members of Biology Team dissected a mouse to study its anatomy. 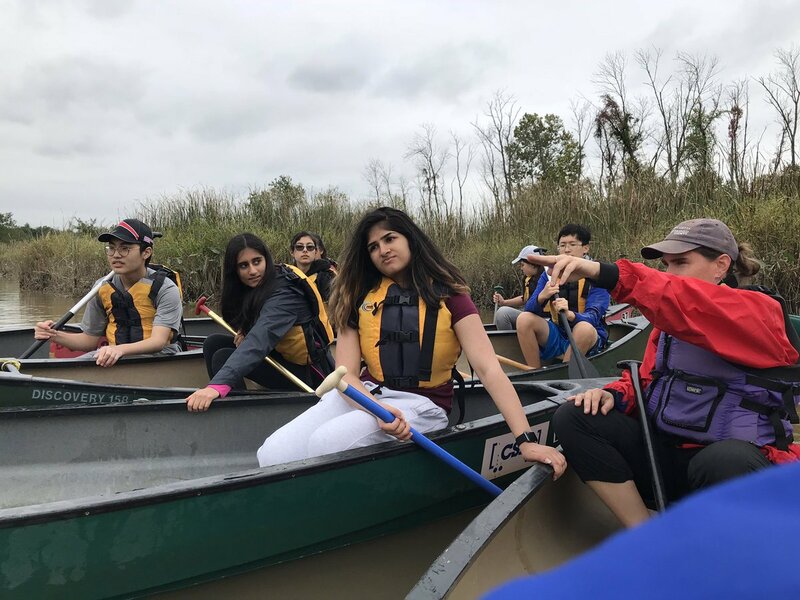 This is pretty normal for an afterschool Thursday lab, according to the captains: Wendy Shi, Shriyash Upadhyay, Akash Canjels, and Cindy Liu. The four of them have other exciting labs planned for this year, including an eyeball dissection and an observation of C. elegans. In addition to the undeniably cool labs and field trips, there are weekly lectures. So far the club has discussed a broad variety of topic including anatomy (eyes, muscular system, nervous system, C. elegans), biochemistry (introduction, ketones), botany (trees, fungi), epidemiology (epidemics/pandemics), genetics (CRISPR, DNA/RNA basics, epigenetics, hereditary diseases), neuroscience (neurotransmitters, behavioral biology), ecology (population genetics, Carboniferous period), microbiology (viruses, diseases, parasites), and taxonomy. While in previous years only the captains presented lectures, this year the club captains have encouraged other members of the club to share their favorite biology topics. Sophia Weng took this opportunity to talk to the club about epidemics and pandemics. Specifically, her lecture focused on “the origins of disease, as well as the history and mechanisms of some specific pandemics.” This opportunity as well as the discussions that usually go on in the club have made Sophia more confident in her knowledge and understanding of central concepts in biology. Similarly, Nobline Yoo lectured for the club twice, first in the field of biochemistry, and then again with an introduction to precision medicine. Prior to her lecture on precision medicine, she spent weeks researching the topic, which included current research in genetics and nano-sequencing systems. 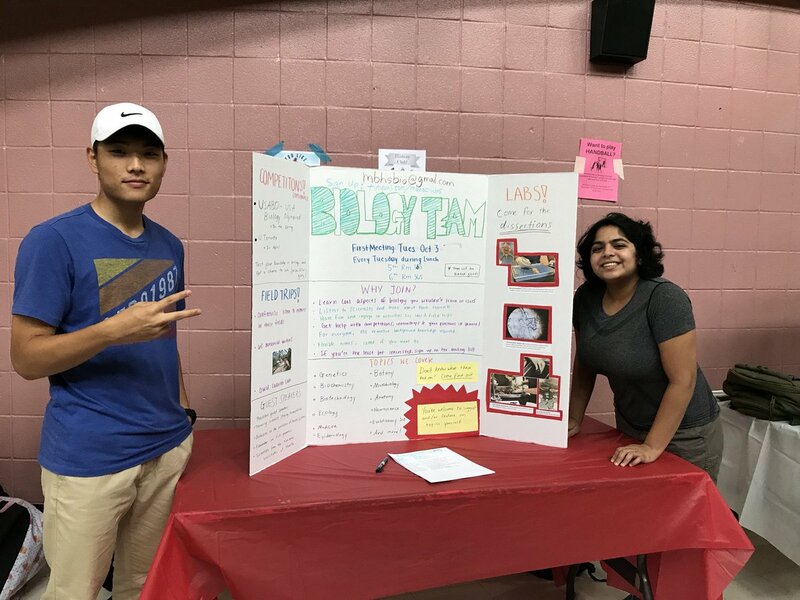 What started as Biology Club in 2012 has grown to become the Biology Team, representing how close-knit a community the club has become and to emphasize the competitions that the team members partake in. There are two main competitions that Biology Team members partake in: USA Biology Olympiad (USABO) and the University of Toronto (UToronto) Biology Competition. There are several semi-finalists from our school every year. Last year, Shriyash Upadhyay placed 32nd internationally in the UToronto competition. Like many of the other members of the club, he enjoys Biology Team as a means of communication with other similarly interested people. Shriyash says, “Although we didn't prepare for competitions explicitly, being in a supportive environment where other people could clarify my questions and point me to useful material has been valuable.” This club has allowed people to grow, personally and intellectually, in a manner that fosters interdependence in learning and the sharing of enjoyable content. Biology Team is a club that has been around for a long time, and one that is here to stay.